Golden Divine Creations Pvt Ltd mostly manufactures corporate gift products and items marble pen stand and marble mobile stand collection. 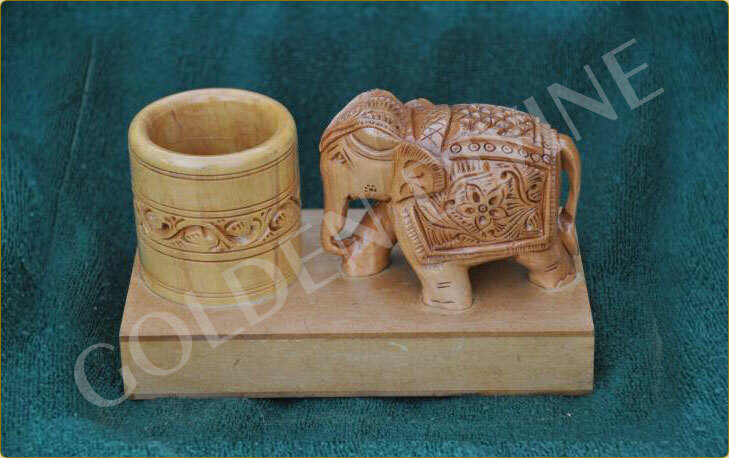 In jaipurgifts showroom and shop various collections of marble pen stand like marble pen stand with statues, pen stand with visiting card holder, pen stand with visiting card holder, pen stand with mobile stand, pen stand with Ganesha. Our group has participated in leading marble pen stand exporters and marble pen stand shop in India since 2011. 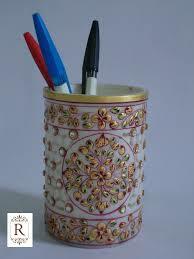 We are manufacturing, exporting, wholesaling and selling many colors of the marble pen stand with statues in India. 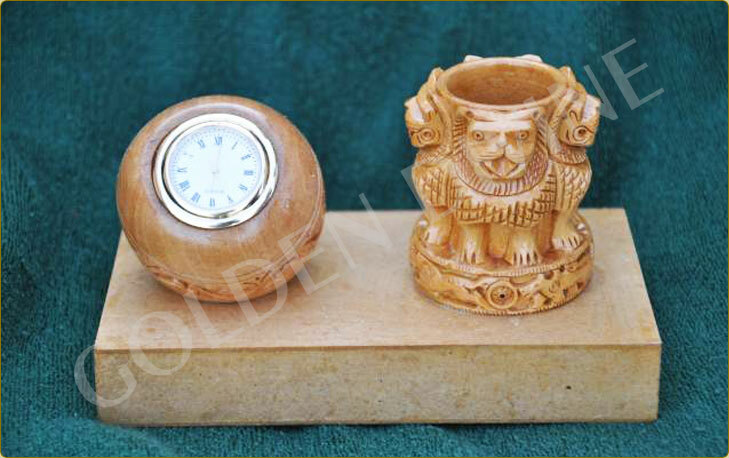 Mostly marble pen stand available in showrooms with statues and also with clock. Mostly marble pen stand using of wooden base in gray color or wooden color. We have various collections of marble articles and marble artifacts for corporate business using like marble mobile stand, marble mobile stand with statues, marble mobile stand with Ganesha, marble mobile stand with visiting card holders and also marble paper weight, marble pots, marble vases, marble visiting card holders, marble paintings, marble book stands and many more gift items. Marble mobile stand products mostly using in corporate offices. All MNC companies using marble mobile stand in our offices for all senior level employee cabins for making impressions front of clients and increasing business deals. 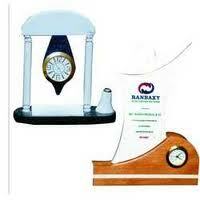 Mobile stand with clock and pen stand looking very creative and attractive of marbles in offices and homes. We also manufacture mobile stand of granite stones and marble stones with using woods.